Iconic Grammy Award winning R&B/Soul singer Mary J Blige appeared on The View yesterday Monday (December 16). 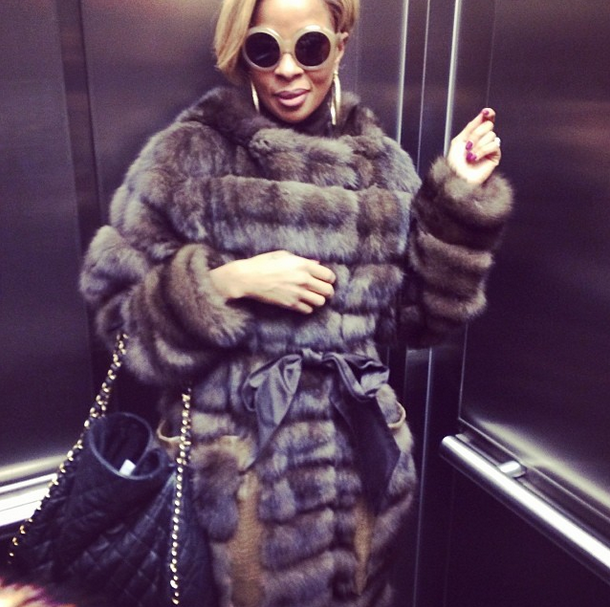 She covered up in a full length fur coat from Dennis Basso. The Geffen Records recording artist wore a $2,310 now $831 Antonio Berardi Long-Sleeve Geometric Dress under her fur coat. Mary J was styled by celebrity fashion stylist June Ambrose. This Antonio Berardi dress features a round neck, long sleeves, sheer mesh detail on the back, and an exposed back zipper. You can purchase it at Saks. Did you hear her holiday album yet, A Mary Christmas? LA Dodgers player Matt Kemp shared a photo on Instagram while en route to a photo shoot for Esquire magazine. He layered a sold out $1,057 Pierre Balmain Denim Biker Jacket over a white collared shirt with black pants and $835 red Maison Martin Margiela High Top Sneakers (similar to the ones below). He kept his look trendy by wearing a fedora hat. 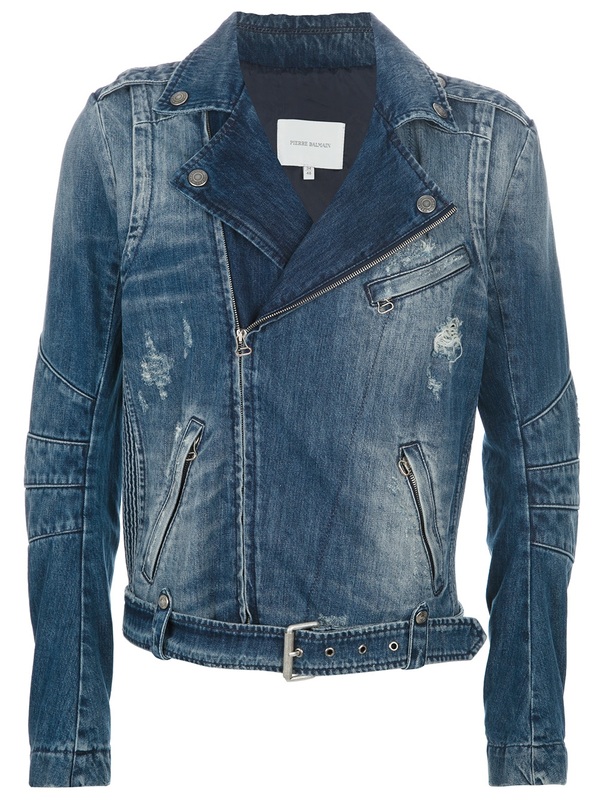 The denim biker jacket from Pierre Balmain features a distressed wash and detailing, wide notched collar with button detailing, off-center front zip fastening, three zipped pockets on the front, long sleeves with zipped cuffs and a dipped curved hem on the back. 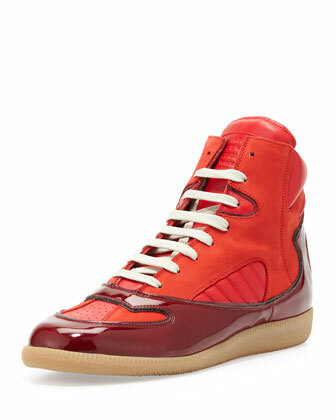 These high top MMM sneakers feature red patent leather throughout, a lace-up closure, padded collar, lined interior and rubber sole. You can purchase them at Bergdorf Goodman, Forward by Elyse Walker or Saks. I live for great fashion moments like this! Twice in one week, a woman or color has snagged a campaign with a luxury brand. Fashion houses around the world are proving that they want more diversity in the fashion industry. Last week, I announced that iconic fashion designer and creative director Riccardo Tisci is breaking barriers by tapping neo-soul singer Erykah Badu for the face of Givenchy’s Spring 2014 Campaign. See the original story here. It was just announced that Rihanna is the face of Balmain’s Spring/Summer 2014 campaign. The diamond selling pop singer was shot by Inez and Vinoodh for her campaign for the luxury French fashion house. She styled in denim-on-denim, all laced out gold chains and buckles and a chain-embellished pink & white robe during her shoot. Over the past few decades, there has been a lack of diversity on the runway. We all know that racism still takes place in the fashion world. I am so sick and tired of top designers overlooking models of color. Your race and ethnicity shouldn’t matter. If you’ve got the right talent, you should be given the opportunity to do the job. Even though people of color still have a long way to go in the fashion industry, I must admit that we’ve come a long way. 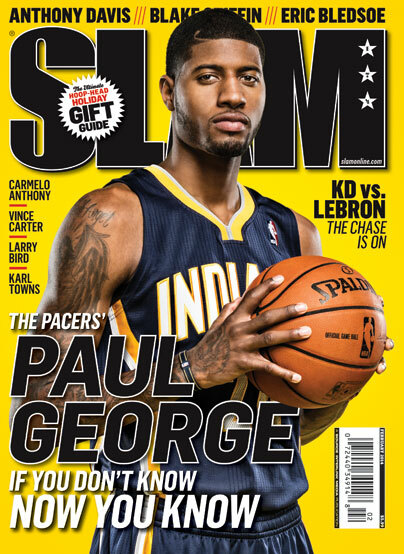 NBA player Paul George of the Indiana Pacers is covering the latest issue of Slam magazine. The 23-year-old Palmdale, CA-native didn’t play big-time AAU ball until the summer after his junior year of high school and didn’t star on his high school team until he was a senior. He ultimately ended up going 10th in the 2010 NBA Draft. He’s now the face of the first-place team in the east. And he’s still not satisfied. Before taking the stage for her ‘The Mrs. Carter World Tour‘ show in Chicago, Beyoncé stopped by Karyn’s Cooked restaurant on N Wells Street for a vegan meal. She also met with the owner & renowned raw/vegan expert Karyn Calabrese. 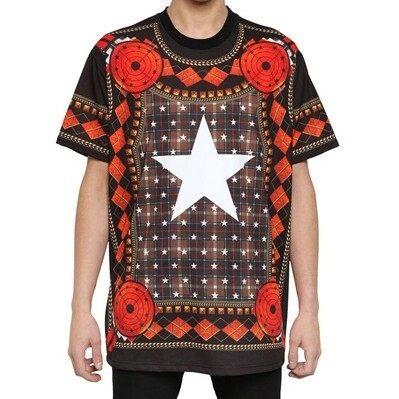 Beyoncé wore a $780 Givenchy Columbian Star Fit Cotton Jersey Tee-Shirt which features a multi-colored check and white star on the front. 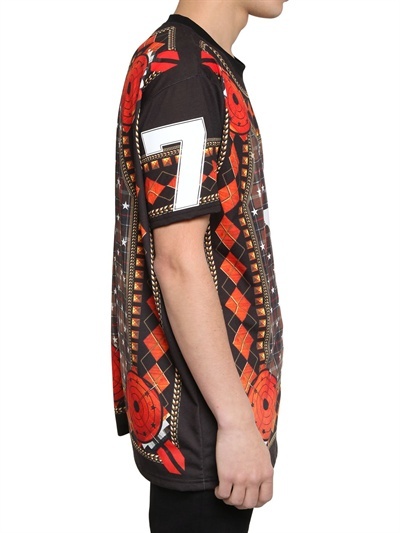 You can purchase this shirt at Luisaviaroma or Farfetch. NBA players Austin Rivers and John Wall last wore this tee-shirt here and here and rapper Wale last wore it here. 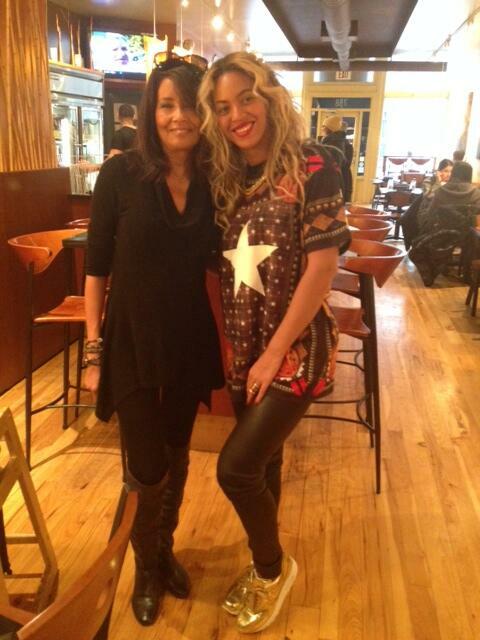 Bey styled her tee-shirt with brown leather pants and gold sneakers. 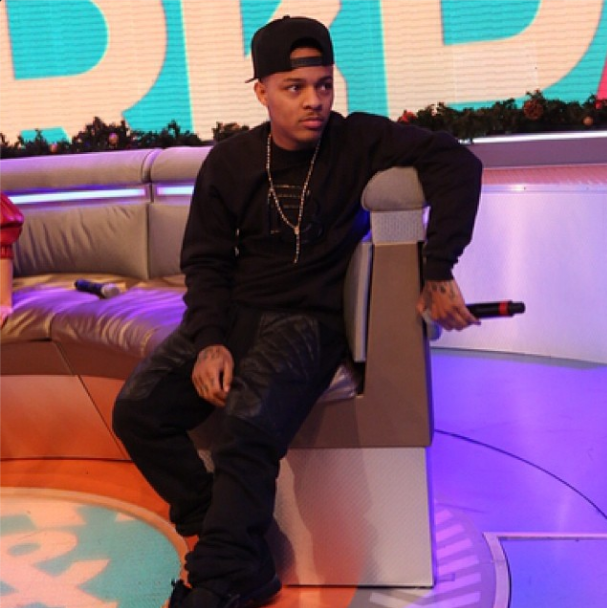 Last week, rapper turned TV host Bow Wow handled his 106 & Park hosting duties in a $110 Black Billionaire Classic Crewneck paired with black $145 Kite Quilted Armor Sweatpants. The crewneck features the brand’s logo embroidered on the front and back in patent leather; made of cotton/poly. 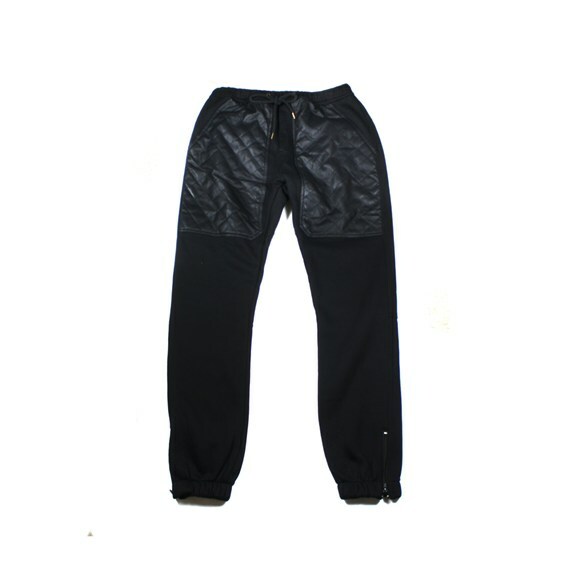 The sweatpants features diamond quilted material on the front. 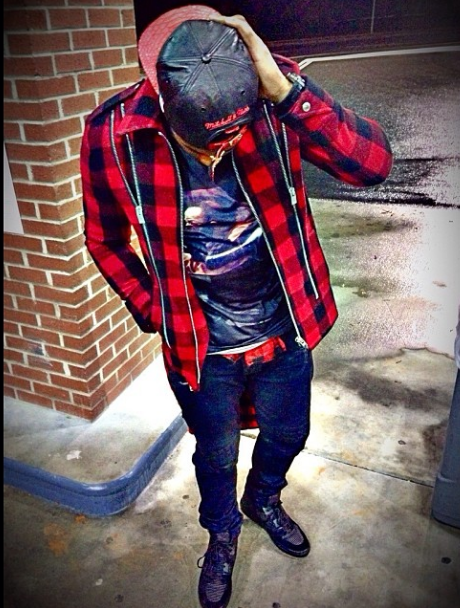 What are your thoughts on Bow Wow’s all-black ensemble? Media personality turned actress Lala Anthony Instagram’d a photo of herself wearing a $120 5th & Mercer Pencil Skirt from her clothing line. She paired her skirt with a #5 soft stretch cotton tee-shirt from 5th & Mercer and black ankle booties. 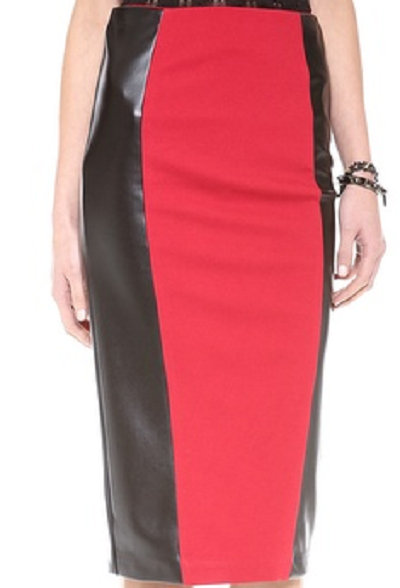 Lala’s skirt features faux-leather panels and 2-way exposed back zip. You can purchase this skirt at Shopbop. Ladies, would you wear this skirt? 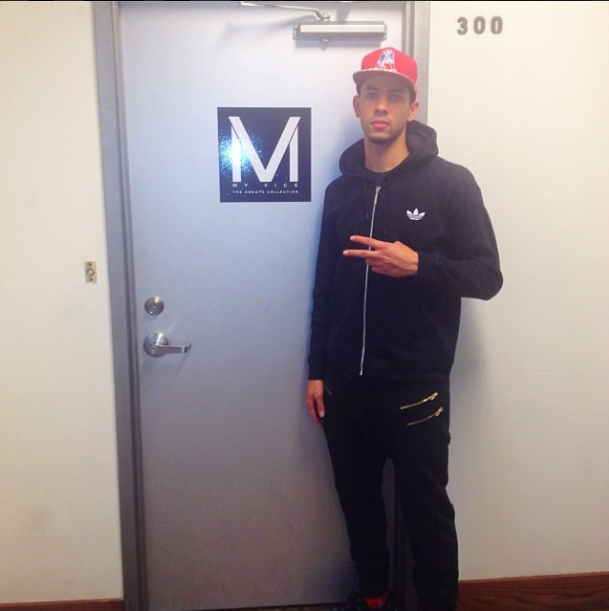 NBA player Austin Rivers opted for a comfy look in his latest flick. The New Orleans Pelcians Shooting/Point Guard rocked a $70 adidas Originals Sport Flocked Hoodie and $165 ‘Shanghai’ Sweatpants from My Vice. John Wall last wore these sweatpants here. 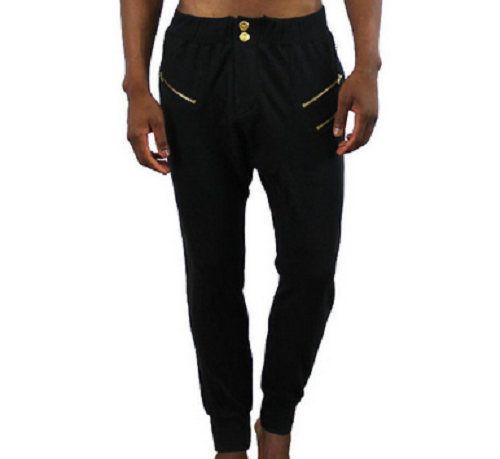 These Asian infused design inspired drop crotch sweatpants features black custom micro loop blend fabric, gold zippers & buttons, four pockets and signature MYVice red pocket fabric. 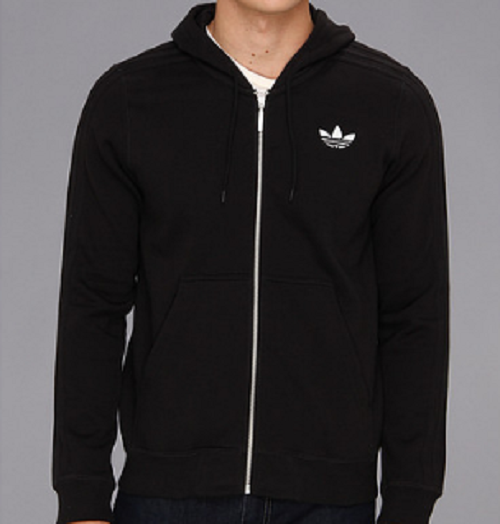 The hoodie features a drawstring tie, full front zipper closure, and banded hemline. You can purchase it at Zappos. 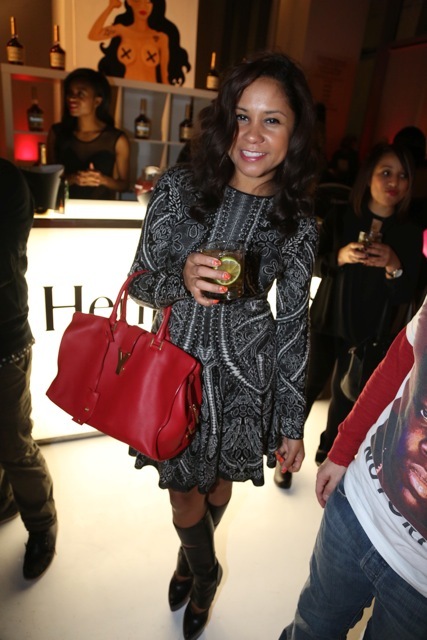 Last week, New York’s Power 105.1’s ‘Breakfast Club‘ host Angela Yee attended newly signed Columbia Records artist T.I.’s Book of Kings Vol. 1 presented by AKOO Clothing Co. launch at NYC’s Pillars 38. See the recap here. For the occasion, Yee looked elegant in a cute black & white dress which she accessorized with a $2,695 Saint Laurent Cabas Classique Y Medium Leather Tote and $1,995 Christian Louboutin Bandita Boots. 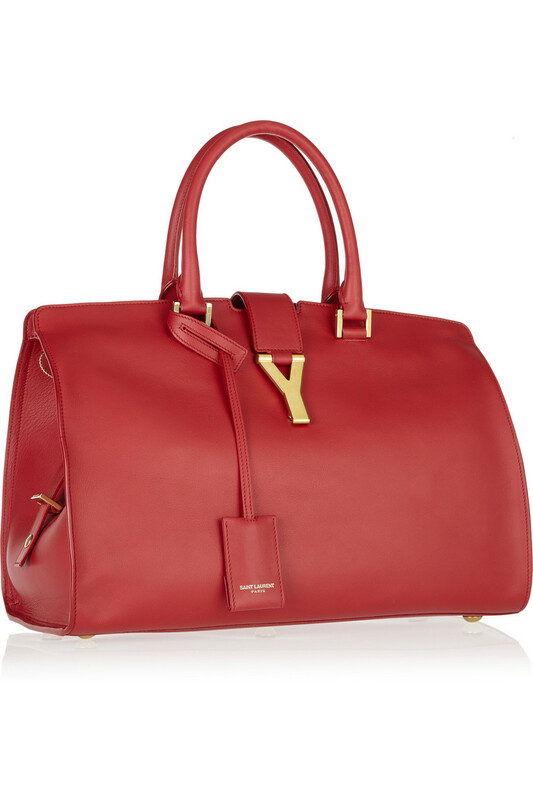 This sleek leather red Saint Laurent tote features a ‘Y’ buckle, two handles, detachable key fob, snap-fastening side tabs, gold hardware, two internal pockets, and zipped pocket. It also comes with a dust bag. You can purchase it at Net-A-Porter. 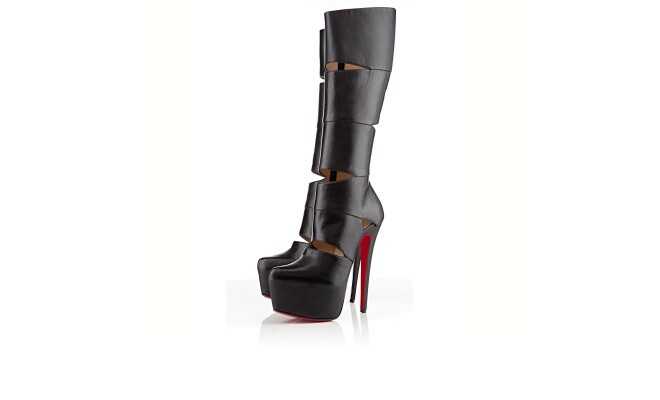 The boots are from Christian Louboutin’s FW 2012 collection, features nappa leather and the brand’s signature red sole. NFL player Marcus Gilchrist attended his sister’s graduation over this past weekend. For the ceremony, the San Diego Chargers Strong Safety dressed in a $1,799 now $1,439 Saint Laurent Zipped Plaid Jacket styled with Balmain jeans and $635 Balenciaga Cotes Monochrome High-Top Sneakers. 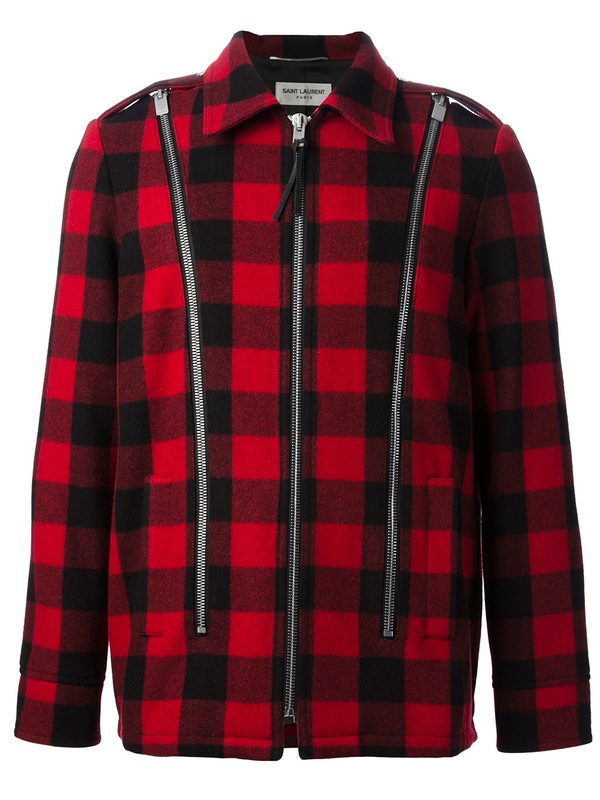 This red and black wool blend plaid jacket from Saint Laurent features a classic collar, front zip fastening, silver-tone zip-up detailing on the front and rear, press stud shoulder tabs, long sleeves with press stud fastening cuffs, flap closure pockets on the sides and a straight hemline. You can purchase the jacket at Farfetch. 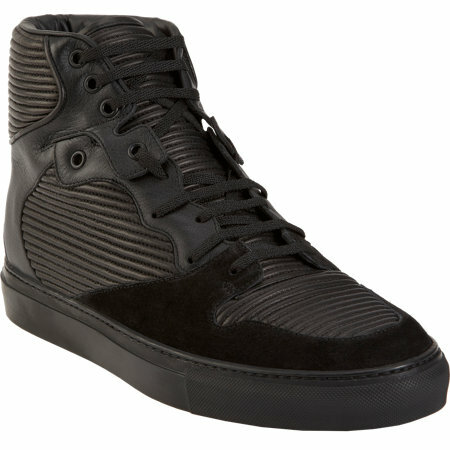 The sneakers are crafted from a luxe mix of lambskin and calfskin, designed with a suede overlay on the toe, ribbed detailing throughout, tone-on-tone hardware, laces and rubber sole. You can buy them at Barneys. Do you like his outfit? Gilchrist played college football at Clemson University and was taken the 50th overall pick in the second round of the 2011 NFL Draft by the San Diego Chargers.